YellowScan has again put everything together to offer attendees two very particular days in the beautiful area of Southern France. This year’s International User Conference will take place on June 29-30 in Montpellier, France. 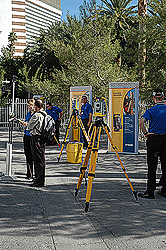 The event, also sponsored by Applanix and Inside Unmanned Systems, will include demos and conferences about YellowScan’s lightweight integrated LiDAR Systems and their technical specifications, the UAVs used for LiDARs, the data processing and analysis, and industry case studies, what’s new and what’s coming at YellowScan. • Industry Case Studies – find out how others are using YellowScan. • What’s New and What’s Coming – learn about new features & tell us what you need. • Make Connections – see who’s doing what and how they’re doing it. • Share What You Learn – help others with efficient workflows. • Enjoy your time in the wonderful Château de Flaugergues and the beautiful city of Montpellier. • Social activities: Wine tasting, concert and more. For registration information and the full program, click here.